1.) One out of eight Americans is a Californian. 2.) California is the first state to ever reach a trillion dollar economy in gross state product. 3.) 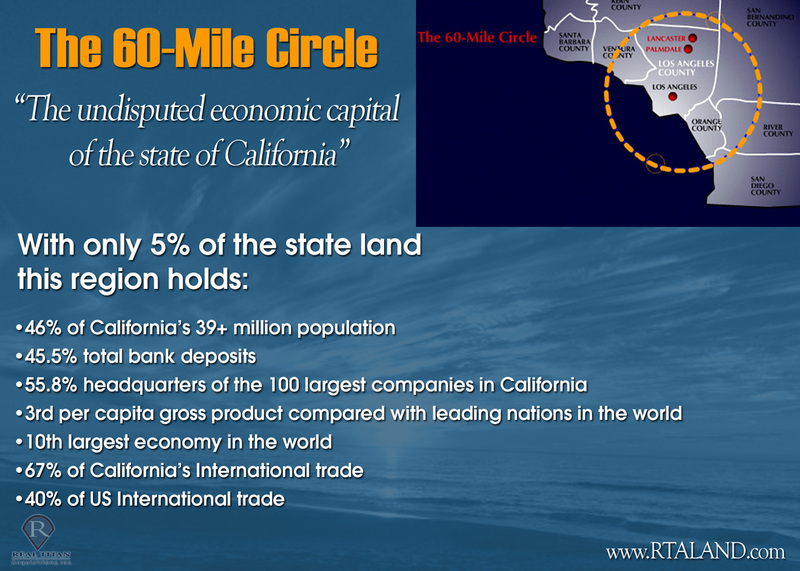 California is the largest state economy in the United States. 4.) 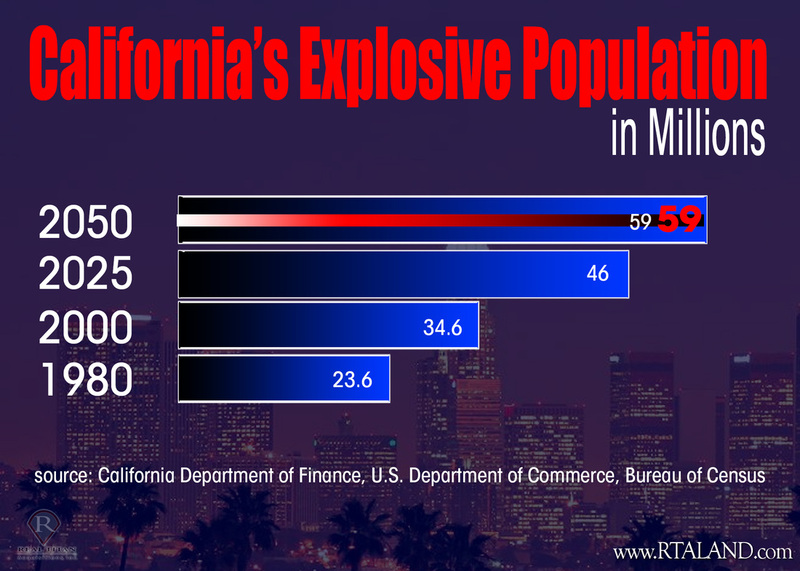 California is the largest state in population. 5.) Depending on the source, California ranks between the 7th to 10th largest economy in the world when compared to leading nations. remaining land mass is suitable for housing development. Time is of the essence to invest in 2% opportunity areas. from SCAG, the region will add approximately three million people (or the equivalence of a Chicago) by 2020.
ninth fastest growing city in America. Lancaster and Palmdale have been identified by SCAG as 2% opportunity areas. path of growth. 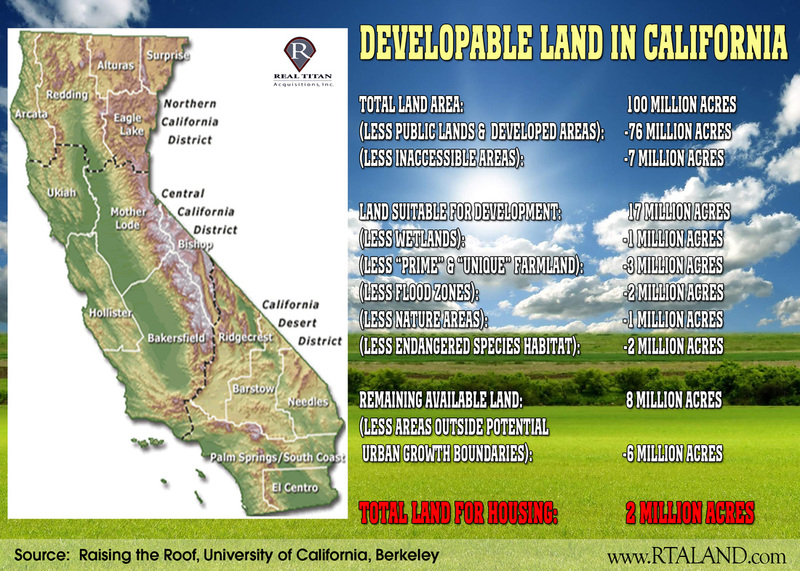 California's growth is a time proven fundamental sustainable trend.